Ancient Tamil Sangam poetry suggests a civilization which was well established in southern India at the time of Christ. Between A.D. 600-1600, rival dynasties - Chera, Pallava, Chola, Pandya - backed literature, art, and the building of Hindu temples. During this period, peaceful migrations and military invasions, led Tamils to become well established in northern and eastern Sri Lanka. The Tamil language belongs to the Dravidian family of languages, which is possibly the earliest surviving language group in the South Asian subcontinent. 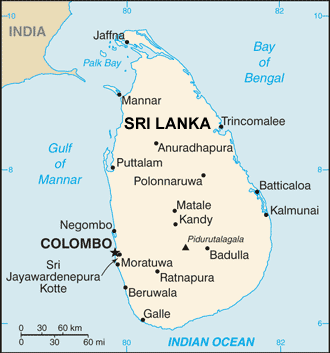 In Sri Lanka, the Tamils form 18% of the population and the Sinhalese makeup 74% of the population. Although the two groups practice different religions, in the 20th century, the cause of their tension was due to linguistic contention rather than religious. The majority of Tamils live in rural farming villages, but there is growth taking place in urban areas. The main food crop is rice which is accompanied mostly by fish and coconuts. Some of the most long-standing towns in Talimandu were built around Hindu temples. The Tamil Brahmins are located in the states of Tamil Nadu, Kerala, Andhra Pradesh and Karnataka in southern India. Many Tamils have also settled in various countries including, Europe, Canada, the United States, Malaysia and Singapore. Most Tamils are farmers, fishermen, or washerman (laundering clothes for rituals such as births, weddings, and funerals). Weaving, spinning, and pottery are other very important occupations in this area. Farming in this area is not simple as the western mountains block much of Tamil Nadu from receiving all of the southwest monsoon rains. Because of this there has been a rise in suicide as indebted farmers receive poor crop yields, experience financial devastation, and/or lack community support. The majority of Tamil people follow the Hindu religion, but during medieval times there were also Buddhists and Jains. There are Tamil-speaking Christians and Muslims. Tamil beliefs are based on Hindu concepts. The Tamils believe the different genders help give form and consciousness to the cosmos (male) and are given energy and substance (female). The Tamils call the pairing of the male (passive and cool) and female (active and hot) Siva-Sakti (the pairing of the male god Siva and the female aspect Sakti). *Pray for people to be able to cope with the economic hardships and loss of hope. *Pray for the families who are left behind due to suicide. 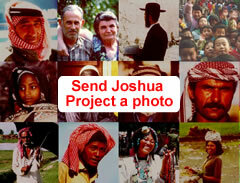 *Pray that believers would rise up and be willing to establish churches. Associated Press (Producer). (2017). Indian farmers demand more govt support [Streaming video]. Retrieved from Associated Press Video Collection database. McGilvray, D. (2003). Symbolic Heat: Gender, Health and Worship among the Tamils of South India and Sri Lanka. Nigesh, K. & Saranya, T.S. (2017). Unveiling the Relationship between Cultural Practices & Well-Being among Brahmin Students. The International Journal of Psychology (4), 4.View Brahmin Indian Tamil in all countries.